In my travels, I’ve done my share of sleeping in different types of places – hotels, hostels, couchsurfing beds, airports, tents – you name it, I’ve tried it. And lately, I’ve seen travelers looking at short-term rentals as an option for their accommodation. It recently hit mainstream and thanks to Roomorama, who approached me recently to review one of their places, I had the opportunity to try it. Roomorama is an online platform for finding short-term room and apartment rentals when you travel. It offers accommodation option that gives you the opportunity to live like a local – something that often hotels and hostel dorms lack. Roomorama allows you to choose between getting your own apartment or a room rental in a shared apartment. I decided to go for the latter. The roomorama process is simple, and it works like any other booking site. You type in your location, the dates you are going and the number of guest expected, and you will get a list of available options. You select and inquire on a couple you like and wait for your host to confirm availability. You take your pick on the ones that have confirmed and you book. step to confirm my credit card use and sign a docusign sheet to confirm my booking. I guess it’s an added security for meand for the host but I haven’t encountered it when booking for hostels and hotels online. It was a step that caused a bit of delay since I have wait to have access on a PC in order to confirm and I can’t do it on my mobile. It’s a small thing though. Having a couple of travel plans these months, it was challenging to pick the right destination to work with Roomorama. I’ve had Sweden, Portugal, France and Thailand as my options. I chose Paris, where I was expected to stay for a night, to try it out. We know that Paris is notoriously known for very expensive, sometimes less-than-the-value, accommodation. I’ve been to Paris several times and stayed in a ritzy hotel in Champs-Elysees, a basement pretending to be a hotel room, and even a grey bench at Paris’ Orly airport – with the last two being disappointing experiences. It’s always a pain to find accommodation in the city but thanks to Roomorama, I think I found the sweet spot. 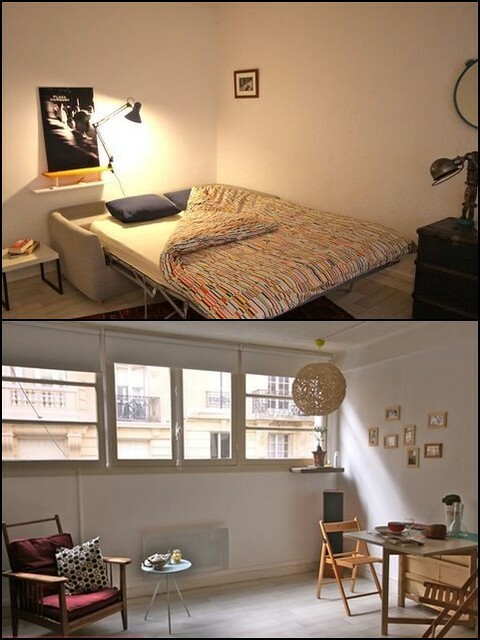 I rented this room on a shared apartment in 11th arrondisement of Opera Bastille. The location is great with lots of stores, restaurants and access to public transport a short five-minute walk away. Take the metro and you are 10 minutes away from the famous Parisian sites like the Tour Eiffel, the Louvre, Champs Elysses and Montmartre. The room may cost 150€ to 200€ if you have the same room in a hotel, but through Roomorama, I got the room for half the price. Definitely on a Parisian summer, that is a budget score. The room I got has a foldable yet comfortable sofa bed, a set of good books to read (that made me wish I could stay more), and wi-fi access. It also has huge windows that let natural light in. 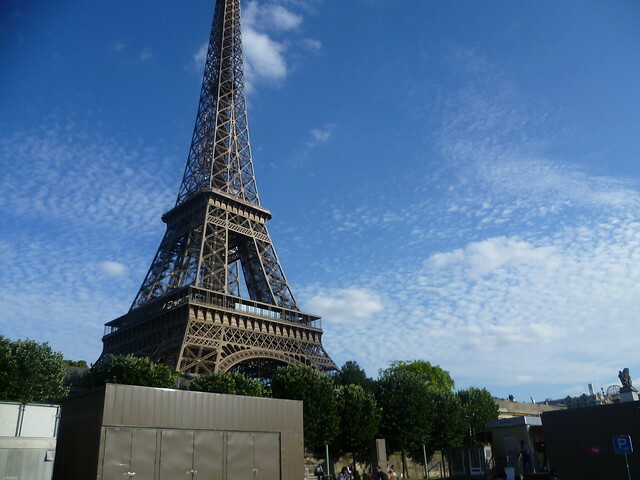 Prior to coming, my Parisian host, Wilfried, took time to send me directions to his place, including some tips on interesting spots near his place. You rarely get treatment like that when you are booking a hotel or hostel. Staying with a local gives you the advantage of knowing the destination from a local point-of-view, which for a traveller is more enriching than the staple tourist activities. My experience with Roomorama introduced me to the option of short-term rentals – and thanks to my short yet very interesting stay in Paris – I’ll definitely considering staying in one again! Big thanks to Roomorama.com for my accommodation in Paris. All opinions and views expressed in this post are my own. Thank you, it’s worth a shot!